Community organizer Carole De Saram speaks about knowing Tribeca's history contributed to the designation of the Tribeca Historic Districts and the construction of Canal Park. Above: "The Texture of Tribeca" cover plate, published by the Tribeca Community Association. When Carole De Saram moved to Tribeca in the 1970s the neighborhood was neglected by the city and people were just beginning to convert the lofts to housing. She gives a vivid picture of the neighborhood in those early days; the camaraderie of living without city support, loft living, and the recycling culture. She quickly became involved in Manhattan Community Board 1 and the Tribeca Community Association, helping to fight for the Multiple Dwelling Law, which legalized the loft apartments, and beginning the long battle to landmark the district. The community members did huge amounts of research on the area in the process of landmarking, and led to designation of the four Tribeca Historic Districts. 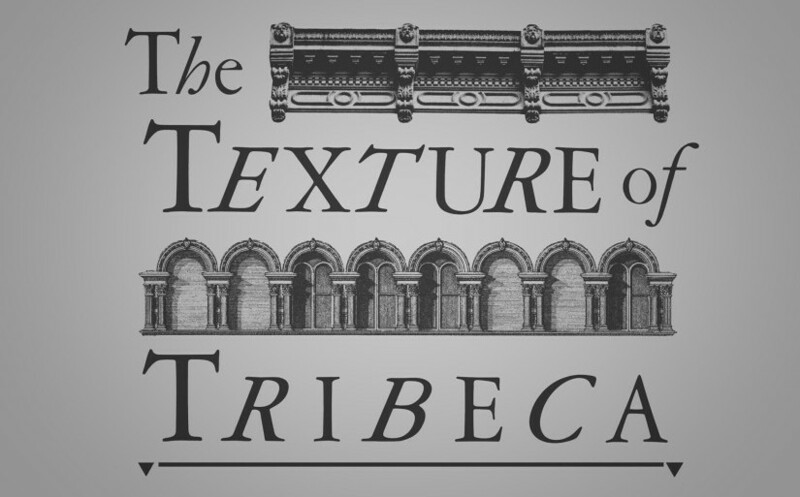 The Tribeca Community Association used much of that research, as well as local photographers, to publish The Texture of Tribeca. Ms. De Saram emphasizes the importance of knowing neighborhood history, sharing a few situations where it helped save historic buildings, as well as knowing local laws and policies, which led to the creation of Canal Park. Canal Park had been paved over in a plan to expand the highway system in Manhattan and was restored as a park after the community discovered its history through researching city archives.